Published on Wednesday, July 6, 2016. This article appears in the June/July 2016 issue of American Craft Magazine. When it’s suggested to Alicia Dietz that the arts world is not typically pro-military, she lets out a whoop of acknowledgment. 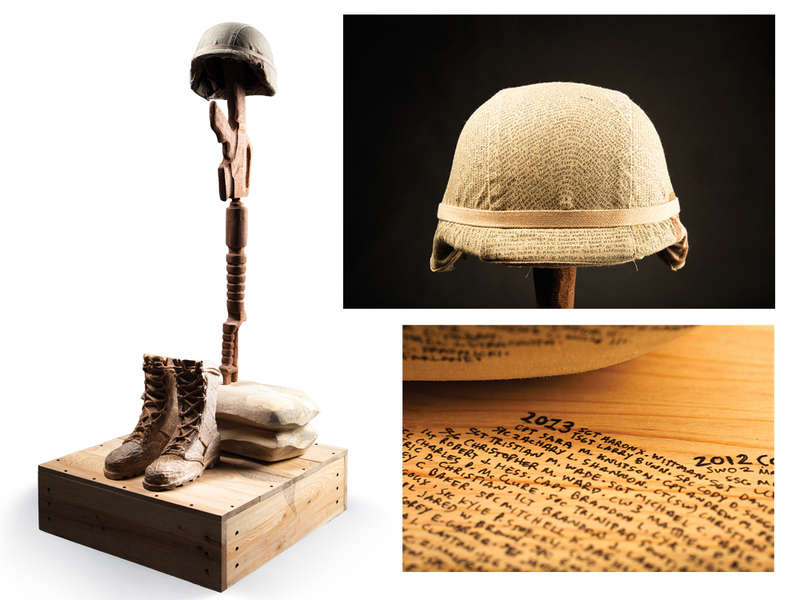 Some of Dietz’s intentions are directly traceable in her work, such as in the stark Fallen Soldiers (2015), whose centerpiece is a pair of carved wooden combat boots covered with handwritten names of soldiers who have died in Iraq and Afghanistan. Other components are covered with more names, totaling the 6,849 who have died thus far in the two wars. 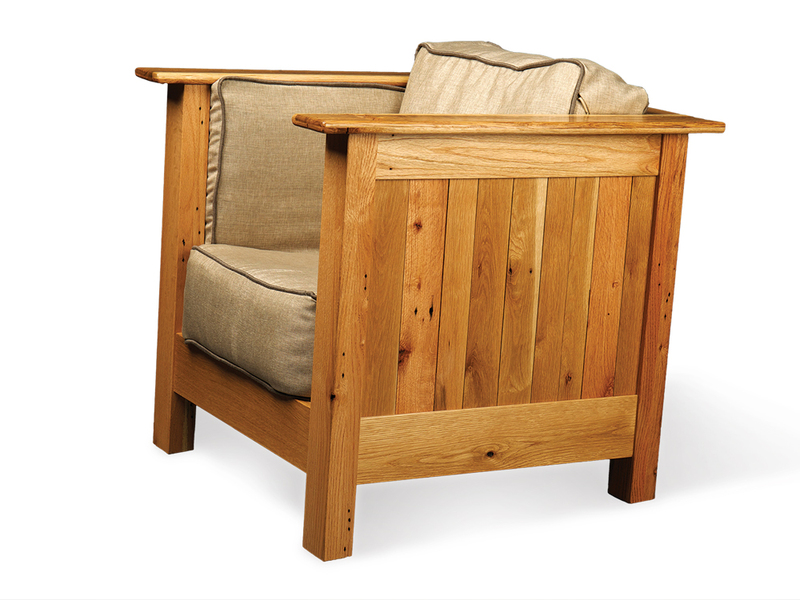 Other pieces she has made as an MFA student in the furniture design and woodworking program at Virginia Commonwealth University are more open to interpretation. In Reintegration (2015), for instance, Dietz used wooden pallets to create an uneven floor shaped like an aerial map. The platform holds a lone chair, from which visitors can hear a looped audio mix of natural soundscapes bleeding into war sounds – for example, a woodpecker transforming into a machine gun, a nod to the way military experiences seep into civilian life. The inspiration came from Dietz’s table saw. “There’s this sound when it’s winding down that seems so much like helicopter rotors winding down,” she says. 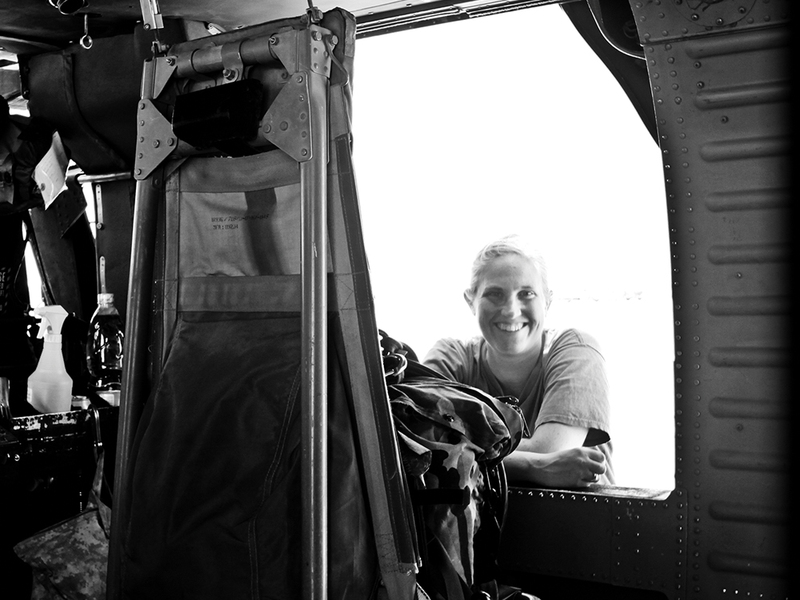 Dietz’s lifelong desire to be a helicopter pilot is what spurred her to join the Army, starting with the ROTC at Ohio University. She served from 2001 to 2011 as a US Army officer, working as a Black Hawk helicopter pilot, maintenance test pilot, and company commander. Her first mission was flying over Baghdad during wartime, where she transported troops and VIPs. Later she was stationed in Alabama, Alaska, Germany, and Egypt. 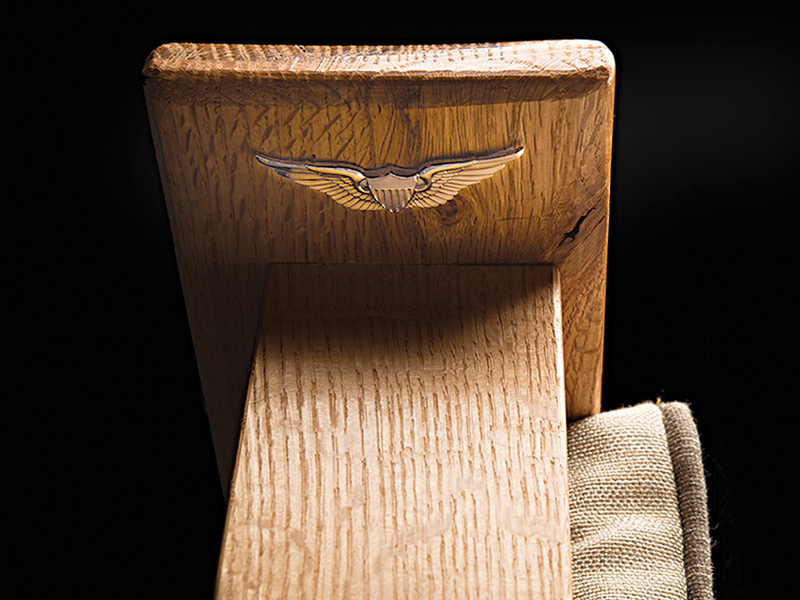 Dietz’s transition began in 2011, when she resigned her commission to follow her other passion – woodworking. 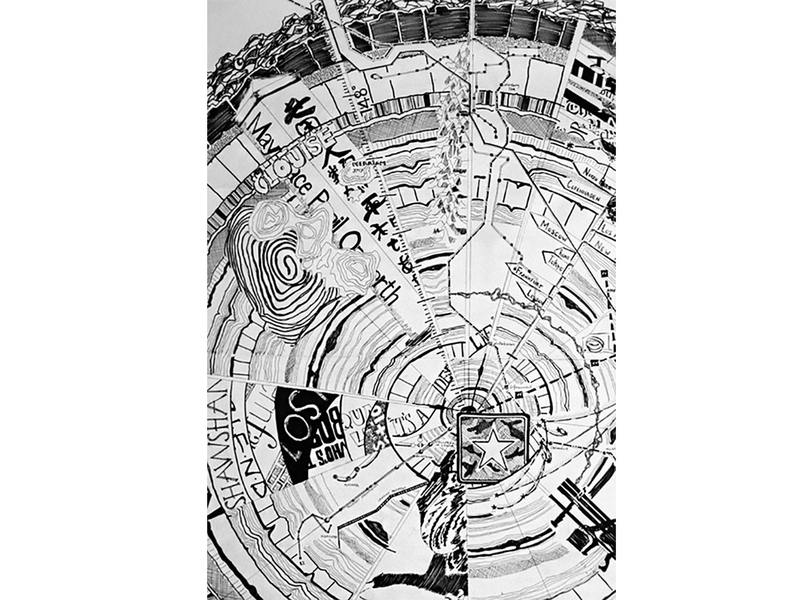 She had learned basic skills growing up in Ohio under the tutelage of her father and grandfather, and later worked on her own pieces at Army recreational facilities. She first spent two years at the Vermont Woodworking School, her tuition covered by the GI Bill. She won several furniture design competitions and after graduation had planned to set up shop as a fine furniture maker. But an internship with conceptual wood artist Wendy Maruyama opened her eyes to another way of working with wood. She began incorporating conceptual elements using her traditional woodworking skills and in 2014 enrolled at VCU. She is set to have completed the MFA program this May. 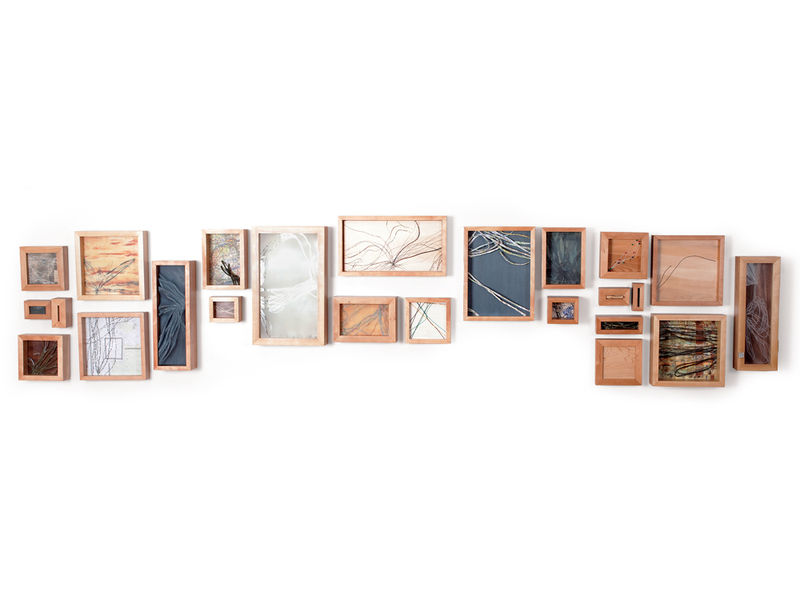 Recent work: In the installation Collective Cadence, for Dietz’s graduate thesis, she arranged a series of boxes, each containing veterans’ stories and made of different kinds of wood mimicking the colors of camouflage.